Our firm has been selling Fine Homes in Fine Communities throughout Flagler and Volusia Counties since 1982. We provide Real Estate Services from Ponce Inlet to Flagler Beach,including, Ormond Beach, Daytona Beach, Daytona Beach Shores, Ormond-by-the-Sea, Ponce Inlet, Spruce Creek and Port Orange. Whether you're interested in a golf or Fly-in community, Oceanfront Condominium, Riverfront Estate, a Custom-built Home, Vacation Home,or Pre-construction Opportunities, we can be of service. 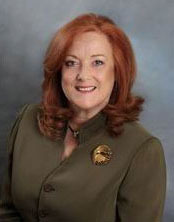 "Claire Hunter Realty provided my family with a professional and caring approach in the sale of my mother’s home. With his knowledge and quick responses, Brian did a wonderful job of taking care of all the details of the sale. It was very easy to communicate via e-mail on the sale of my Mom’s house from afar. The process was far less painful an ordeal due to the ease of communication and Brian’s quick responses." "Bonnie and Claire were very Honest and Professional with us at all times. They met all our expectations. Communication skills could not be better. Look forward to working with you again and yes, we will refer future customers. Thanks again!" "Brian was easy to do business with and the listings and marketing were good."